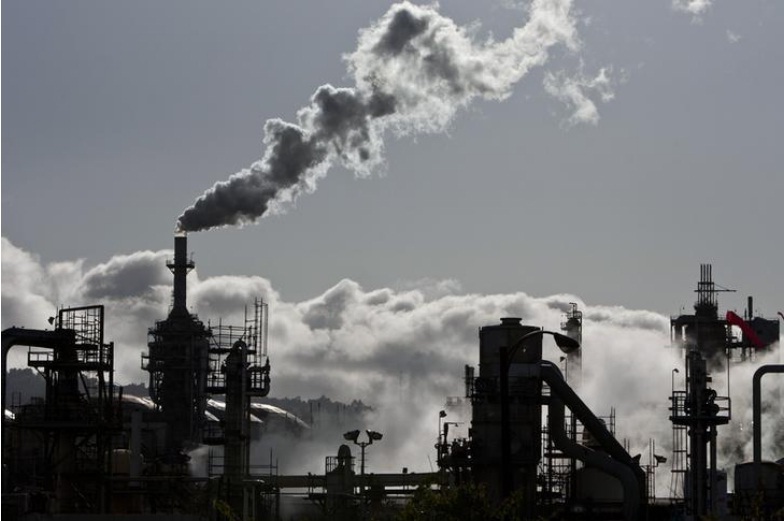 Smoke is released into the sky at a refinery in Wilmington, California March 24, 2012. WASHINGTON - The U.S. Environmental Protection Agency will propose repealing the Clean Power Plan - the Obama administration’s centerpiece regulation to fight climate change - and plans to solicit input on a rule to replace it, according to an EPA document seen by Reuters. Janet McCabe, who headed the EPA’s Office of Air and Radiation under Obama, said an advanced notice of proposed rulemaking could take years - meaning the replacement for CPP could be a long way off. Some conservative groups have urged the EPA to scrap the CPP without replacing it, effectively ending U.S. regulation of carbon emissions. But some industry groups want a replacement to give utilities regulatory certainty and avoid possible lawsuits by environmental groups.